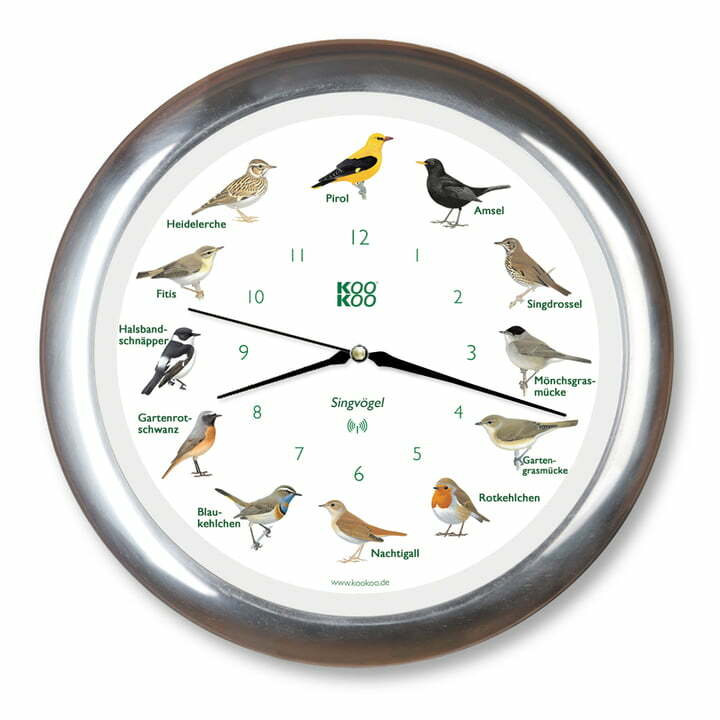 The Songbird Wall Clock RC by KooKoo is fitted with a radio-controlled quartz movement and therefore always displays the time accurately. The clock mechanism updates itself automatically every 24 hours through the DCF77 signal. 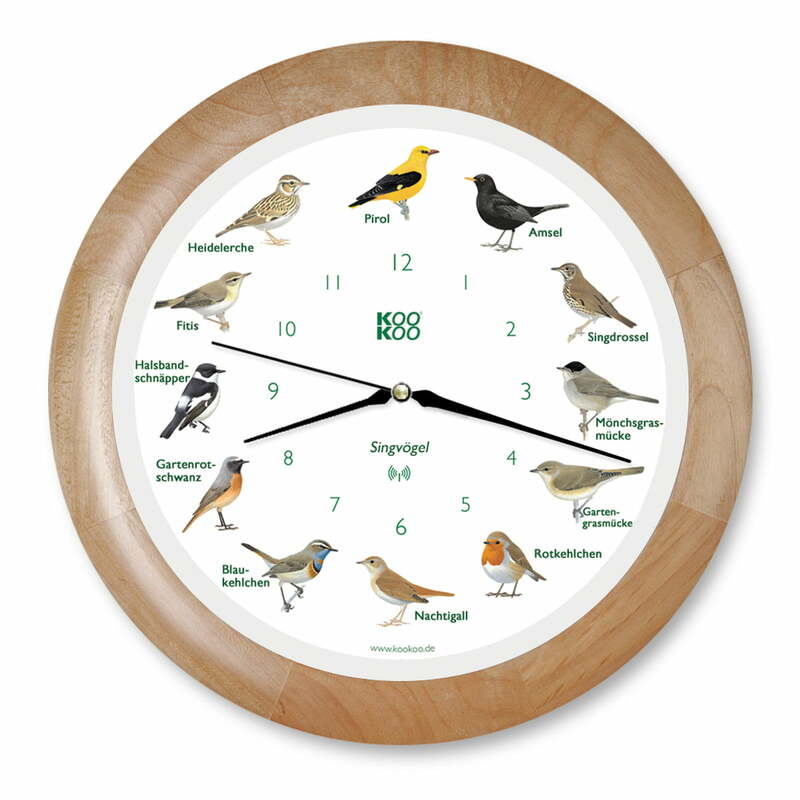 The Wall Clock is made special with the delicate illustrations of 12 native songbirds on the clock face, combined with the matching calls: At every full hour, one of twelve original calls plays for about 10 seconds - from the blackbird on the 1 to the oriole on the 12. All of the bird calls are from original nature recordings and are not artificially generated. A built-in light sensor ensures that the birds go to sleep in the dark and are therefore silent. With these features the Songbird Wall Clock RC by KooKoo knows how to delight both children and adults interested in ornithology.